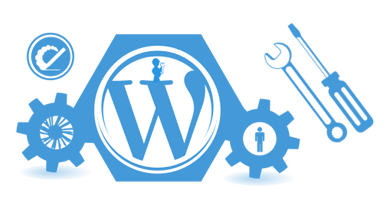 WordPress is the most popular free open source blogging tool, which is developed from PHP & MySql. WordPress helps in creating robust CMS based website and web based application. Website designed with WordPress is easy to use for both user and developer. 4U Software Solutions expertise in providing professional WordPress development & Designing Services. Weather you need website for your small local business or large scale international business or any kind of service you are providing, an attractive, fully functional, responsive design with all the desired feature can be developed by using WordPress. WordPress has around 10 thousands themes and 30 thousands plugins for all kinds of business & functionalities that required for an professional website. Apart from that we develop custom WordPress themes and plugins for our clients need. 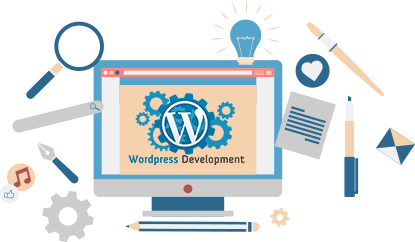 WordPress projects are taken care by highly professional and expert designer to provide an ultimate design. Incorporate our business specific WordPress theme in your website and take the online presence of your business to next level. We develop rich & robust WordPress plugin to enhance your websites functionality. We can build your online store within a day with WordPress Woo-commerce plugin in very reasonable budget. 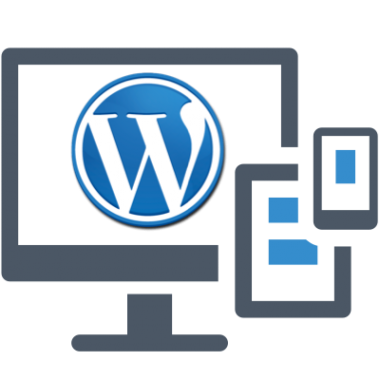 Our responsive WordPress design can make your website cross browser compatible and fully responsive in all mobile devices and tablets.